So my 11 has 40k miles on them, going to take truck to dealer for the tires for the 2nd time for bad tires. Front tires were chipping up 20k miles ago and tread was flaking off of it. Now the new set of fronts are doing the same and the rear tires have tons of cracking on the sidewalls. Its not from sitting in the sun, hasn't been long enough, and the spare that sits on my bed all the time doesn't have cracked sidewalls. So I'm getting them to swap out with dif brand. These continental hdr tires are horrible. What have Yall run, certain brands to stay away from? Thanks! I keep the tires filled @95psi which is what it says on the truck door tag. I'm a little limited on what tire because I have 19.5 wheels, more on the commercial side. Would like something little more aggressive than a straight street tire. 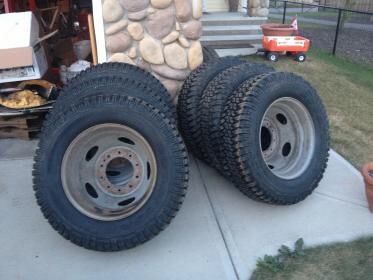 Im not sure what tires you have used in the past, but I looked for more aggressive tires in a bigger size. I ended up with the toyo's 608's as they had good tread depth, as well as a good pattern. I only have 2200 miles so I know this is premature, but they look good. I also have a set of super swamper irok radial's in a 36x13.5x19.5 that I havent run yet. They are studded to the hilt and are siped. All I know is that they are expensive. My truck came with the conti's I believe and they didnt good. I've had bfg, Nittos, toyos, on 1 ton trucks and under, but I'm on the same continentals that dodge puts on the 4500 trucks, manufacturer isn't doing anything about them, so ill run them to the ground but need to start looking for tires. Just wondering what people like for this size of truck and had good much with? I usually just go with what I know...went online and got a set of Goodyear Wrangler MT/Rs with Kevlar. . Great looking tires, tough as hell, good ride and road manners. I expect to get a lot of service life out of em. I have a 2005 2500 4 door long bed 4x4 with the 5.9 . If I put the 2" leveling springs on the front will that allow me to run 35" tires? 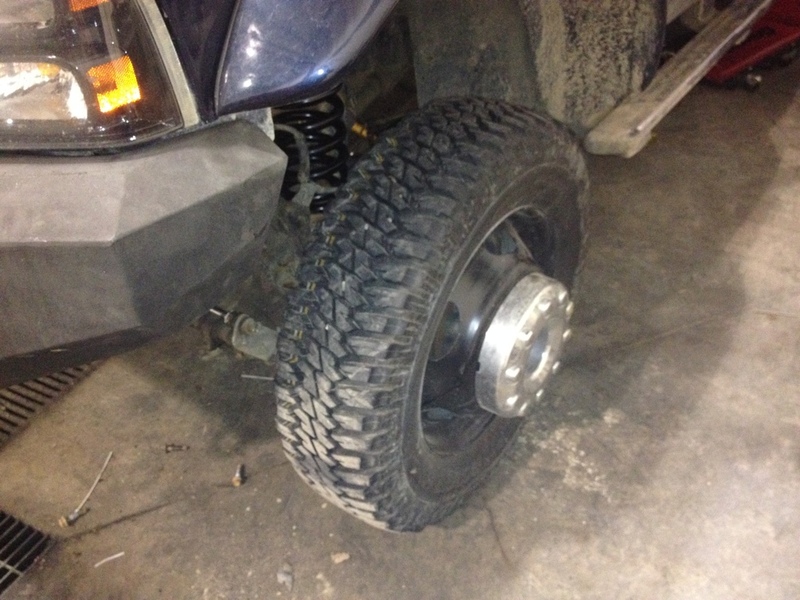 Ever heard of double coin tires? Might be worth looking at. I have heard of them but know no one who has run them. Have you looked at the toyos yet? I think that may be my all around tire. Those 608's are great. I like how people come in with tires that dont fit our rims. I have Double Coins on mine as that's all I would get when I had tire problems while I was out of town. They stick way better than the Sumitomos they replaced. the continentals are truely garbage. 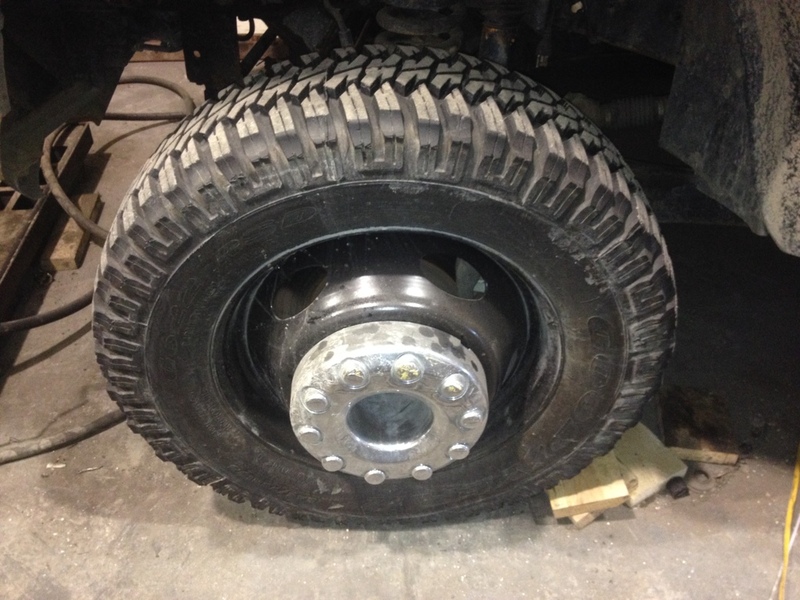 All our service trucks come with those as OEM rubber. they're crap. All the F550 service trucks in the mine strictly use Michelins after. you can get them in 245s and 265s as well. In load G and H. Not cheap but super solid and plenty aggressive enough tread for mud and snow rated. I know this is an older thread but I to am looking at different tires than the awful conti's. I have seen the toyo's, emailed Goodyear for recommendations telling them I don't need a "highway tire" on the front as I take my truck off in some mud occasionally and a 4 wheel drive truck with highway tread is pretty much useless. I'm still searching, destroyed 1 tire. So I have no spare, I'll need a set after summer. Mine is 4wd also and I need to use it, I don't want a steer tire in front. I'm Going to price out those double coin tires. I actually bought 6 Treadwrite remoulds. in 245/70r19.5. for my winter set. they are a knock off MTR tread design. on Goodyear G load casings. tread has their "kedge grip" in the rubber, crushed walnut and glass.I had them on last winter. I liked them. Quick Reply: Lets talk tires? !